13.5 oz. 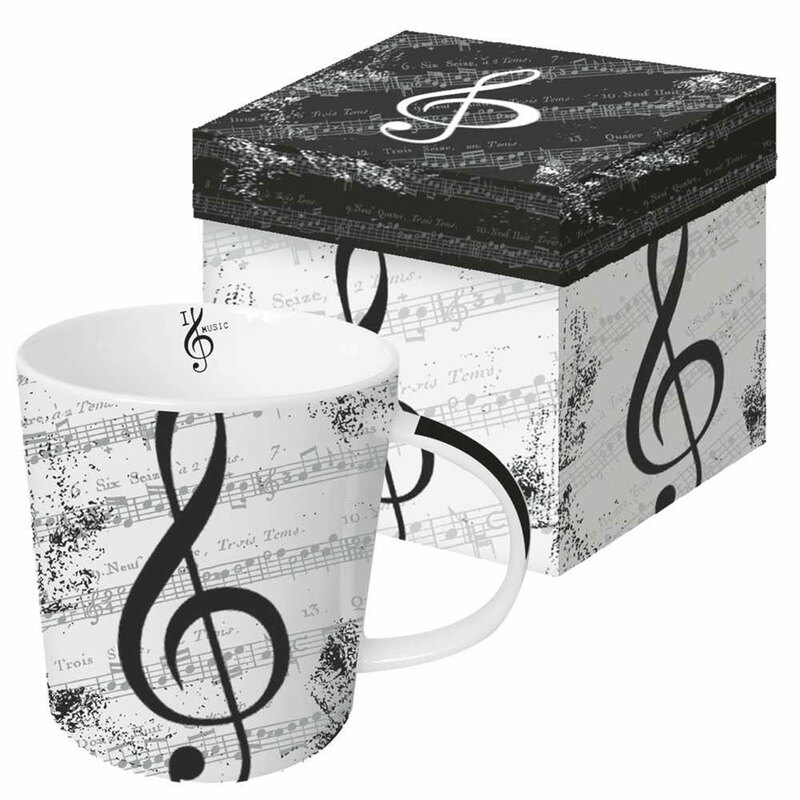 Bone China Mug packaged in an attractive gift box with a complementary design of the mug. This full-wrap design is very elegant and offers a refined look representative of its somewhat translucent nature. The art featues an inside lip imprint of a G-clef and decorated handle that adds tremendous value and detail not commonly found at this price point. This is a special gift for a special musician.